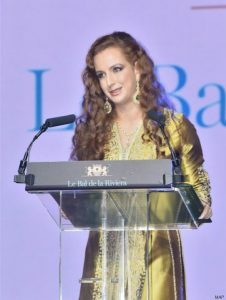 Princess Lalla Salma, spouse of King Mohammed VI, has received the “Tribute Award” for her personal commitment in the fight against cancer in the North African country and beyond. She was honored on Saturday at the third edition of “Bal de la Riviera” gala organized by the Duke of Anjou, Prince Charles Philippe. The distinction was handed to the Moroccan consort Princess in her quality as Chairwoman of the Lalla Salma Foundation for Cancer Prevention and Treatment. 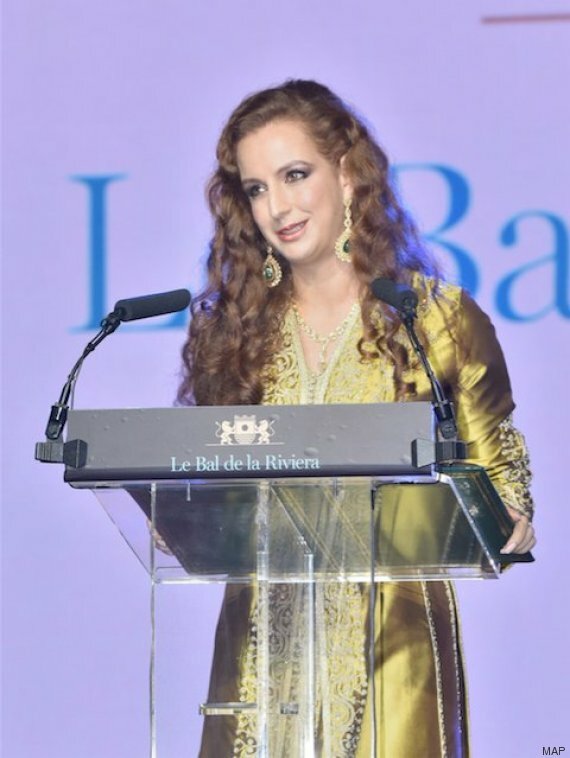 Princess Lalla Salma, who chaired the Bal de la Riviera event, expressed her satisfaction at the prize and highlighted the initiatives led by the Lalla Salma Foundation for Cancer Prevention and Treatment as well as the special attention the foundation receives from King Mohammed VI. The foundation, championing the fight against cancer in Morocco and also in some other African countries, was set over a decade ago. The Bal de la Riviera initiated by Prince Charles Philippe brings together world figures who champion a global cause. Lalla Salma had arrived on Friday in Lisbon where she was received by Portuguese President Marcelo Rebelo de Sousa at the Belém Palace who congratulated her for her excellent work. On the sidelines of her participation in the Third Bal de la Riviera, she visited the Portuguese Oncology Institute of Lisbon where she attended a presentation given by Francisco Cavaleiro de Ferreira, head of Portugal’s league against cancer. The Princess also attended, on Saturday, a conference on the challenges of fighting cancer in the 21st century, held at the Paula Rego Museum in Cascais. Written by: Peter Mulvany on October 24, 2016. Posted by Peter Mulvany on Oct 24 2016. Filed under Headlines, World News. You can follow any responses to this entry through the RSS 2.0. Both comments and pings are currently closed.